Owning an aquarium can be very rewarding. Watching your fish may prove, like it has for so many of us, to be exciting and enjoyable. Sitting and watching the daily dramas of your fish play out has led some of us to talk about our tanks in terms of “watching fish TV”. Maintaining a fish tank is a very unique experience. For plants and animals to thrive you need to create a natural water quality that will be specific to the types of animals you keep. When thinking about starting an aquarium there are some things we need to think about. -Where will you put it and how much space do you have? Unless it’s a small desktop tank you will need to put it on an appropriate stand. The main reason for this is that water is deceptively heavy; 1 gallon of water weighs about 8.3 pounds. A tank like a 10 gallon will weigh close to 100 pounds when fully set up. Put it close to an electrical outlet, because the tank will most likely have a filter, heater, and light to be plugged in. It is best to put the tank some where out of direct sunlight or you will be battling constant algae blooms. -What types of fish are you drawn to? Some of you will have very specific ideas; perhaps a fish that has held your fascination since you were a child. Others of you may just want a beautiful and colorful feature in your house. The types of fish you want to put in your tank will be a factor in the size and shape of tank that will best suit them at their full sizes. 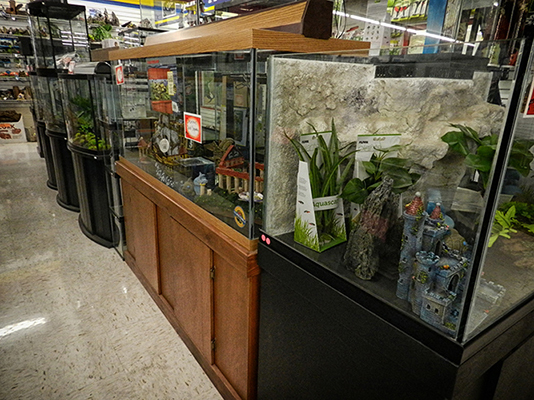 Filtration and accessories may also change based on the needs of the fish, animals and plants you choose. 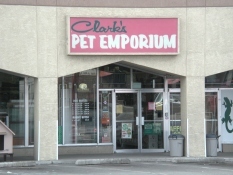 With proper equipment and the expert advice at Clark’s, maintaining an aquarium of any size should enhance any space and give you a window into another world.